These roasted cauliflower wedges go great with Mushroom Gravy. Arrange the cauliflower wedges on a baking sheet, then drizzle generously with olive oil. In a small bowl, combine the paprika, cumin, salt, and pepper. Rub this spice mixture on the cauliflower wedges. 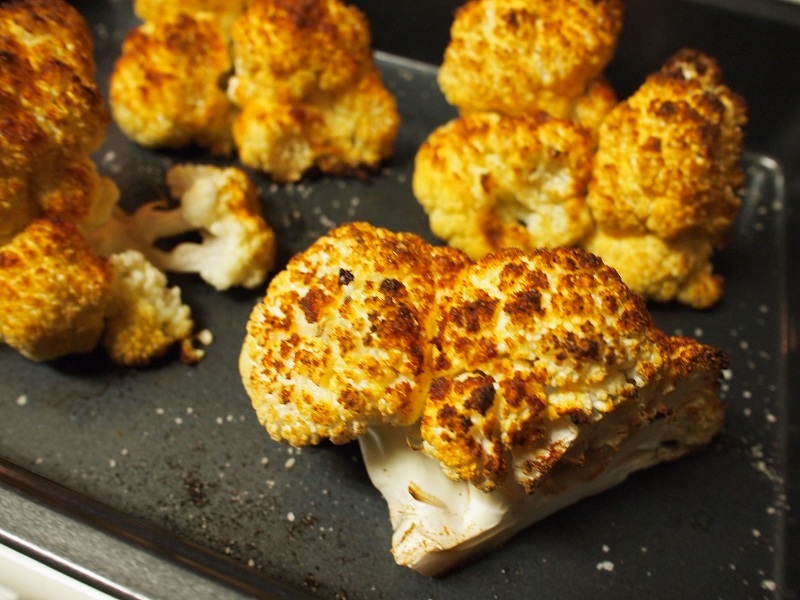 Bake at 375 degrees Fahrenheit until the cauliflower is nicely browned and soft, about 35 minutes. Feel free to play around with the spice mixture in this recipe!